The Dubois County Museum is the largest County Museum in the state of Indiana with more than 41,000 items and an annual visitation that exceeds 12,000 visitors per year. It holds over 50,000 square feet of exhibits, fourteen community murals providing a picture of each community’s early history, a 17-room main street reminiscent of the 1890s, a two pen log house built in 1885, a wild game safari display, a tremendous model train display, and two outstanding exhibit rooms. The Dubois County area is rich with various shopping, attractions, and dining options. There is a place to shop and a place to eat for anyone’s tastes. For a complete list of shopping places in the area click here. For a complete list of dining options in the area click here. For a complete list of attractions and events in the area, please visit the Dubois County Visitors Center Website at www.visitduboiscounty.com. Discover the rich history and heritage of Dubois County, Indiana by winding your way through exhibits as they tell the stories that have been passed down generation to generation. This summer if full of fun programs for children: click here to view these summer children programs. 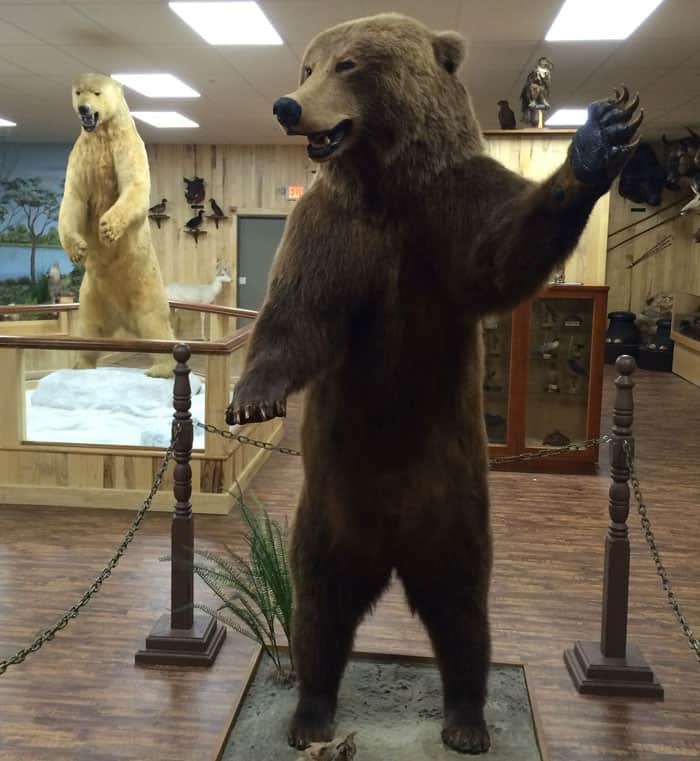 Enjoy a variety of programs and events throughout the year at the Dubois County Museum. Submerge your students in the rich heritage of Dubois County, Indiana as you receive a guided tour by one of the Museum’s friendly volunteers. Stroll through continual educational exhibits that teach the history of how this area was settled. Let history come alive as your group is led on a tour by one of the Museum’s friendly and knowledgeable volunteers. Tour one of the largest county museums in the state of Indiana. Learn about the German immigration; walk through the newest exhibit, “Main Street Dubois County”, featuring 17 rooms portraying life at the turn of the century, view one of the largest agricultural exhibits in Indiana as you stroll through the various changes in farming methods that have helped define the industry from the 1800s to the present day, & much more! Wind your way through exhibits that portray different eras of life. See various displays ranging through Archaeology, German Heritage, Woodworking, Military, Sports, Agriculture, and Manufacturing. Guided tours can be arranged in advance at any time by contacting the Museum at 812-634-7733 . They can also be customized to meet your group’s interests. For a customized itinerary for your group featuring more Dubois County and area attractions, please call the Dubois County Visitors Center at 800-968-4578 or email them at [email protected]. The Dubois County Museum has been open since August 1999. It was then housed in downtown Jasper inside the oldest brick house in Jasper, built in 1849. In July of 2004 the Museum had its grand opening in its current location on Newton Street. Who runs and staffs the Museum? The Dubois County Museum is entirely run by volunteers. There is no paid staff of the Dubois County Museum. Where do the exhibits and artifacts come from that are in the Museum? Exhibits and artifacts have been mostly donated by residents in Dubois County. How many artifacts does the Museum have? Currently the Museum has near 38,000 artifacts. The Museum has the largest Agriculture display of any museum in the state. The Museum has 50,000 square feet that is currently being used by exhibits. It has a total of almost 150,000 square feet that it owns, so there is plenty of room for future growth and expansion. The Dubois County Museum is funded through donations, memberships, and rental income.